Note: i>Clicker is no longer the recommended student response system at the University of Wisconsin Madison. In January 2016 Top Hat became the recommended and supported system. 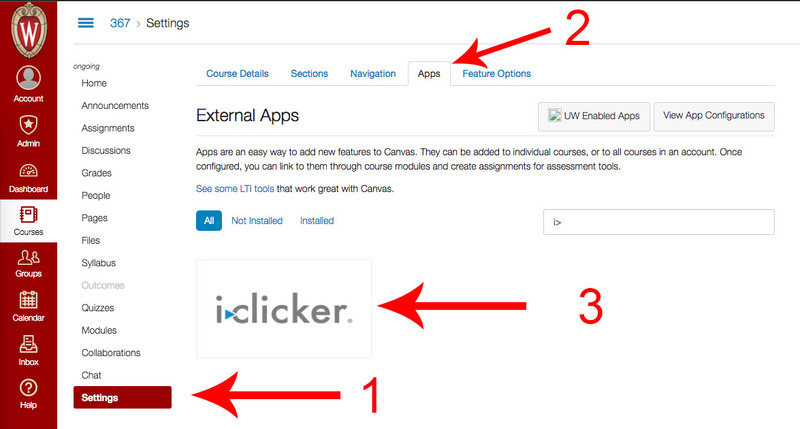 We recognize that there are still instructors using i>clicker on campus and have authored this document to ease their use of i>clicker with Canvas. Enter the consumer key and shared secret obtained in the previous section, step 3. 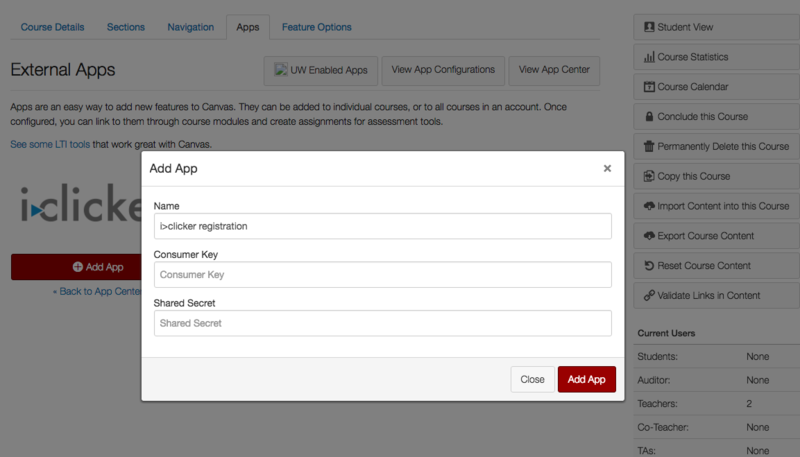 Once you have activated the i>Clicker app in Canvas you will likely want to add it to your course menu to allow your students to register their clicker. Start by clicking Settings. Click on the Navigation tab. 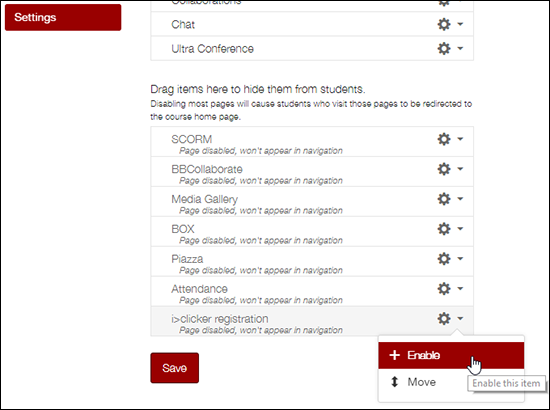 i>clicker registration should now appear on your course menu.